First Avenue coffee store front at 1017 W. First Avenue in Spokane. All photos courtesy of First Avenue Coffee. 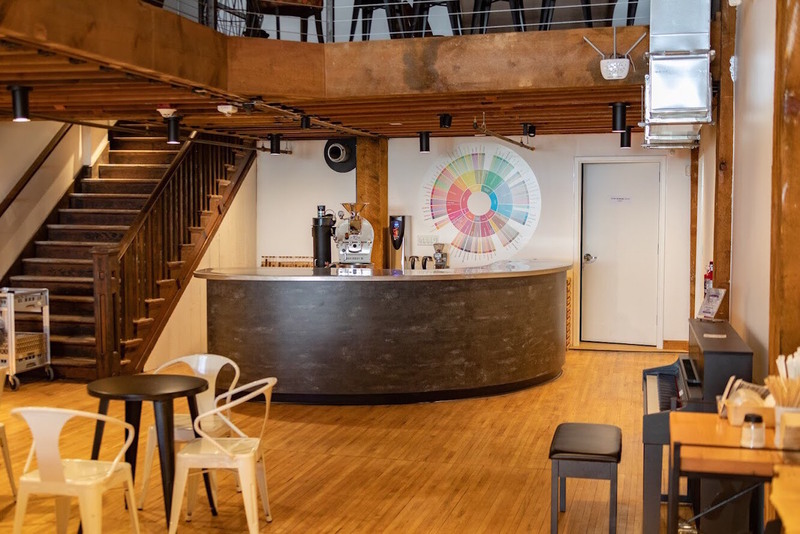 Spokane, Washington-based Roast House Coffee has been finding the groove in its newly opened first retail cafe, called First First Avenue Coffee, located in the historic Music City Building downtown. 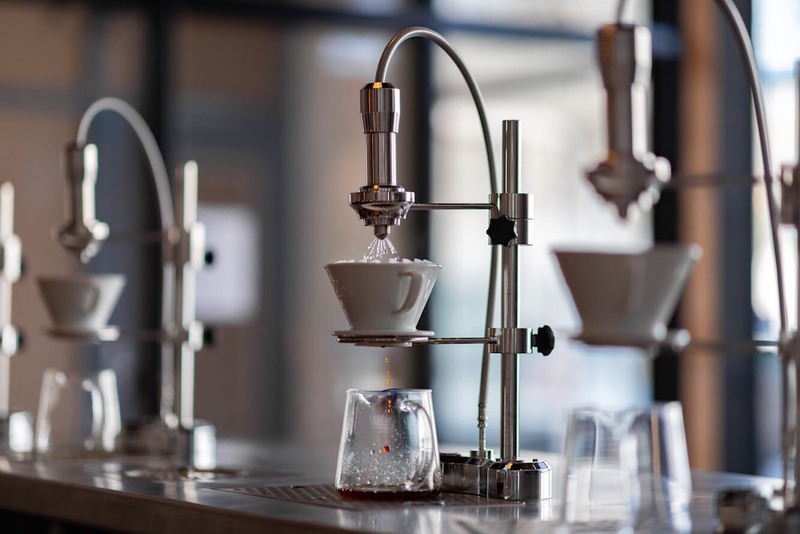 The 3,000-square-foot space has 20-foot ceilings and a 40-foot U-shaped coffee bar where baristas engage with guests while preparing their drinks, some of which pass through a sleek ModBar system. A 450-square-foot mezzanine provides extra seating while overlooking the space below. 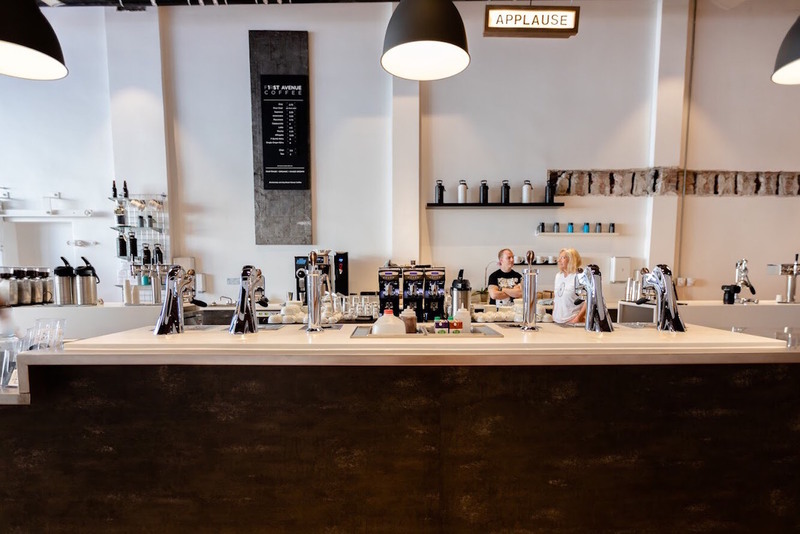 The coffee bar at First Avenue. 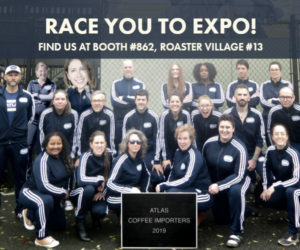 At the back of the cafe, a cupping area with a 2.5-kilo Diedrich roaster are on display in front of a 5-foot SCA/WCR Coffee Taster’s Flavor Wheel. 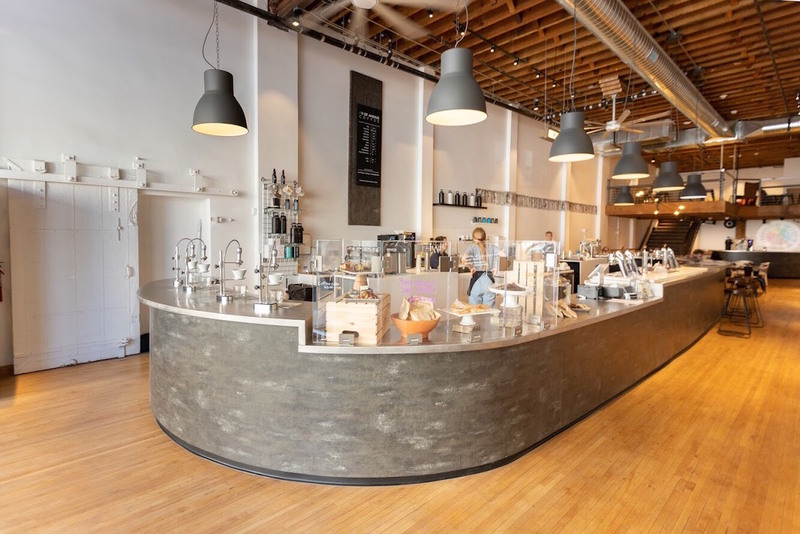 Through public workshops, tastings, and demonstrations held in this space, customers are able to ask questions, experiment with different roast profiles and varieties, and learn more about coffee roasting and brewing. Roast House Owner Deb Di Bernardo told Daily Coffee News that the business is growing each day since its opening six weeks ago. The cupping and sample roasting area at First Avenue. 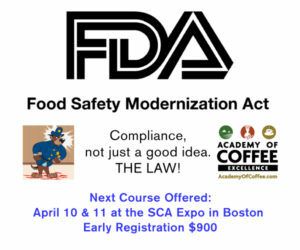 After being approached by building owner and local developer Jerry Dicker regarding the possibility of opening a coffee shop, Di Bernardo stuck to her long-held pledge to never open a retail location, in order to maintain maximum focus on wholesale operations. 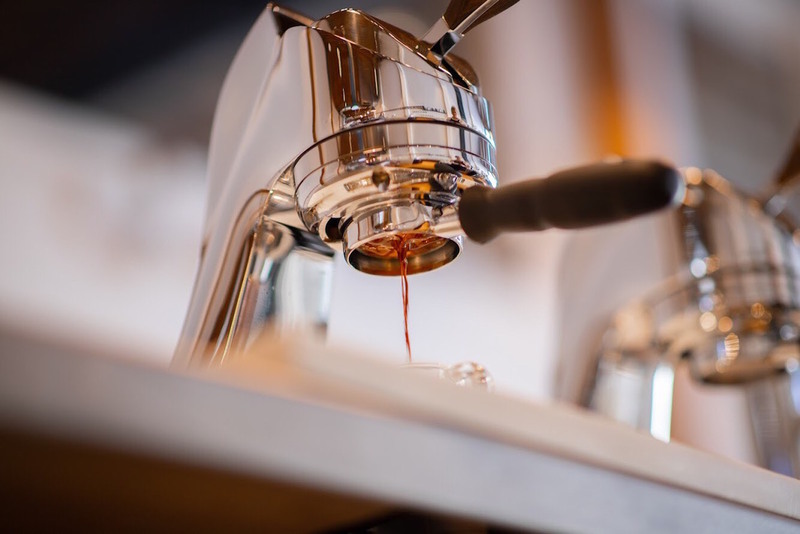 As several weeks went by, Di Bernardo warmed to the idea that the shop could provide space to feature some of the most unique and interesting coffees Roast House is sourcing. 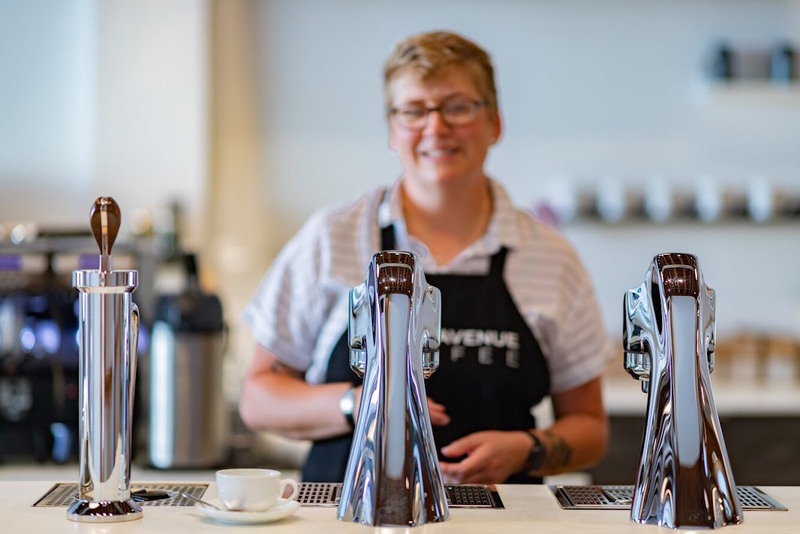 Cafe manager Kristen Scott-Silver puts on tasting events, such as coffee and chocolate pairings, and other community-facing activities to bring more exposure for the business. 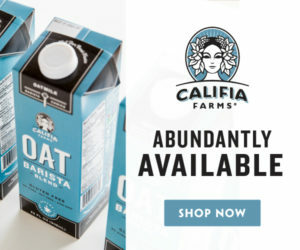 Di Bernardo is passionate about supporting programs and buying practices that will ensure a living wage is paid to everyone along the supply chain, and that the coffee is produced in an environmentally friendly manner, including shade grown and organic. The large space in this former music hall has already been host to several events and receptions organized by local groups. 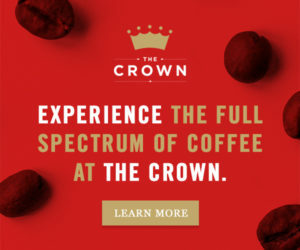 Aaron Jordan, general manager of the company’s roasting operations, told DCN that having a larger platform to serve these coffees has helped from a roasting and sourcing perspective. Roast House is now able to purchase larger quantities and roast larger batches of the same coffee, thus increasing how much they are able to increase the farms’ profitability and the producers’ income. 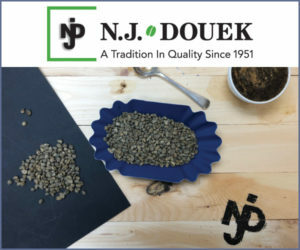 Jordan said Roast House is now purchasing 80 percent of its coffees from the same producers year after year, allowing for those relationships to be built on trust and consistency. The other 20 percent has has comprised coffees that rotate through a limited-release program, featuring new sourcing partnerships or new regions of origin. an avenue to try out new partnerships or explore different origins. So far, Roast House’s limited-release offerings have come largely from importer Cafe Imports and from the Cup of Excellence green coffee auction program. Espresso shot pouring from ModBar machine at First Avenue. This is commitment that the company does not take lightly. Di Bernardo believes that it is critical to follow through on those contracts and share the burden of risk during a down harvest year. Preparing Kalita Wave pourovers on the ModBar at First Avenue. 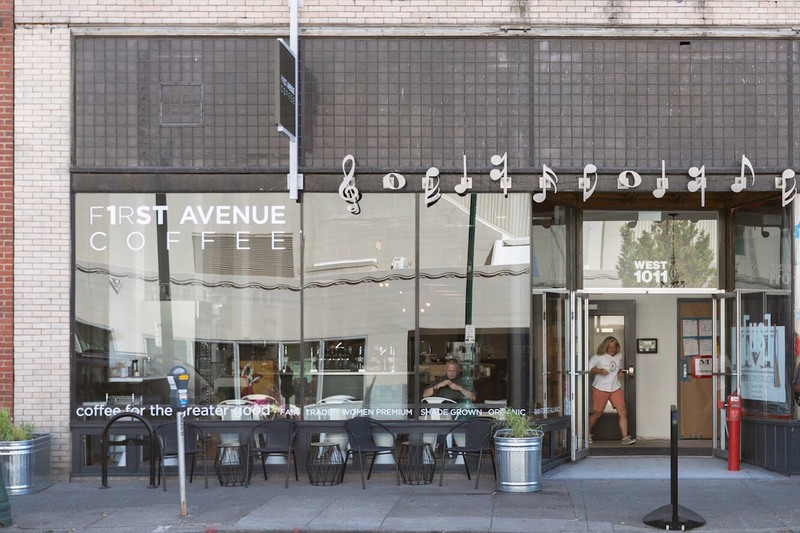 First Avenue Coffee is now open at 1017 W. First Avenue in Spokane.